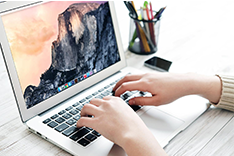 Want to remove the duplicate flies like songs, pictures or other documents on your Mac computer with macOS Sierra? 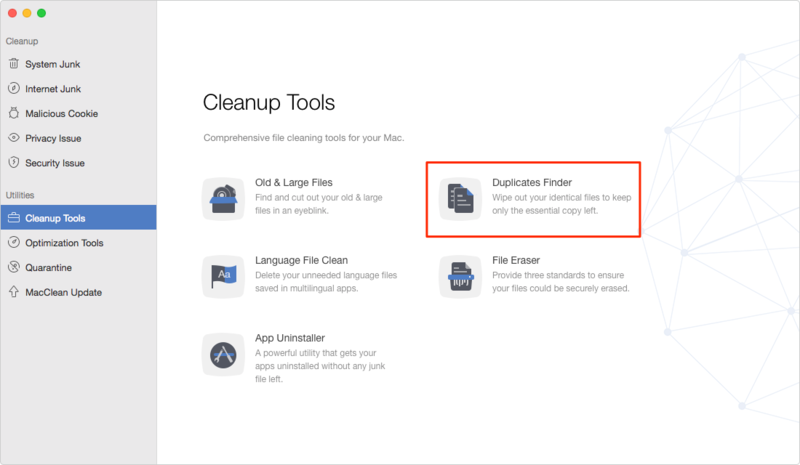 Read this guide to quickly delete duplicate files on your macOS Sierra. 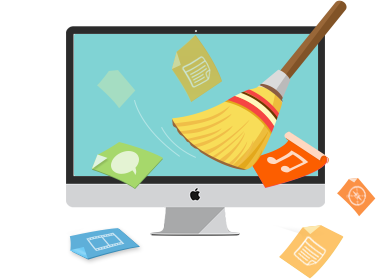 Download MacClean to your Mac and follow this guide to easily find and remove duplicates on macOS Sierra to optimize storage of your computer. 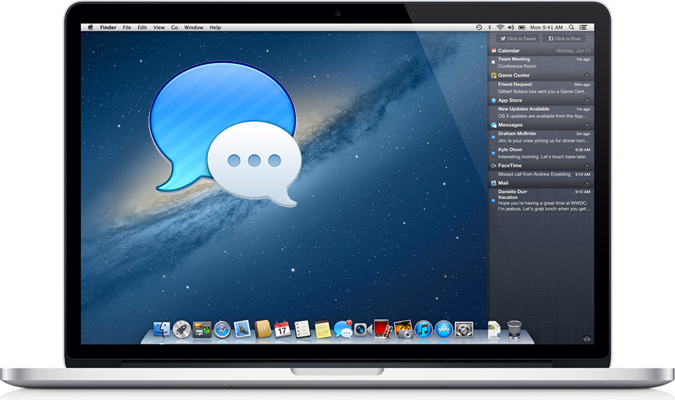 The recently released operation system of Apple - macOS Sierra attracts many Mac users’ attention with the interesting new features. You can unlock your MacBook/Mac mini/iMac with Apple watch, sync your copy and paste data between Apple devices, ask Siri to do multitasking on your Mac computer and do more with Sierra now. 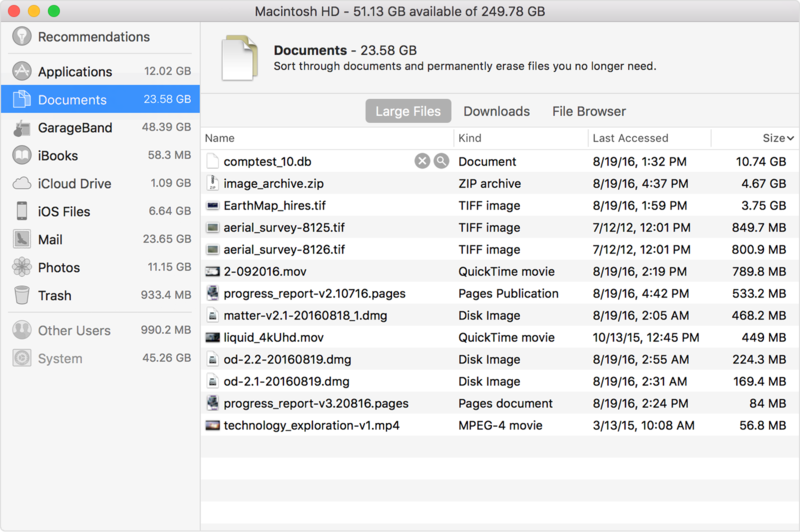 If you have already upgraded your Mac computer to macOS Sierra, there is another useful feature you cannot miss: use Optimized Storage in macOS Sierra to find and delete duplicates and free up space on your hard drive. 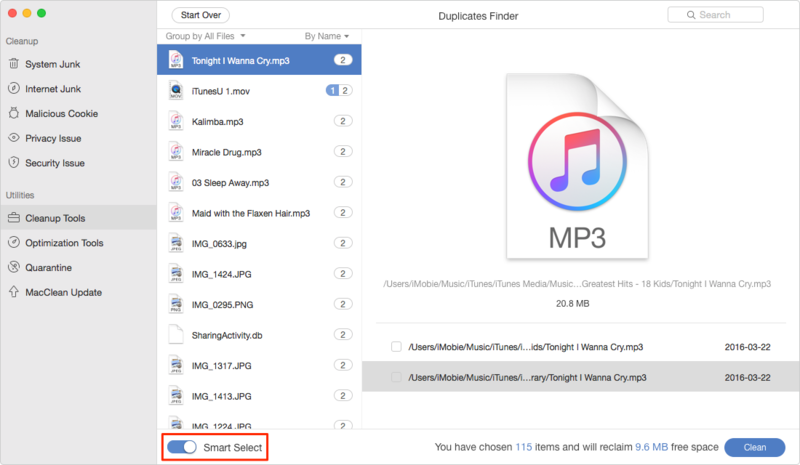 Here in this guide, we’ll show you how to take advantage of Optimized Storage on macOS Sierra to clean up duplicate songs, pictures, cookies, downloads, history and other documents on your Mac computer. Generally, Sierra will automatically detect downloads in Safari and keep only the most recent version of the download to save Mac storage space. As for duplicates in other folder, you’ll need to use the Reduce Clutter function to manually delete them. Step 1. 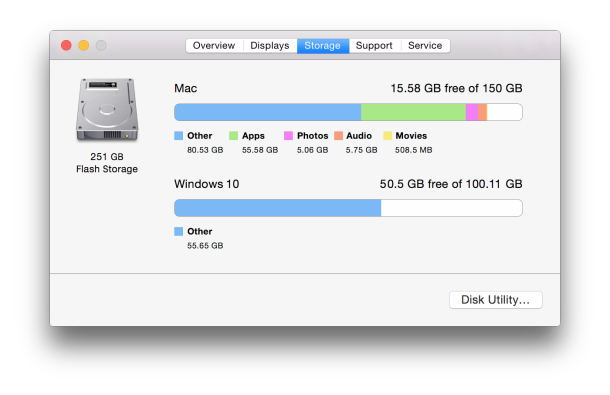 Choose About This Mac from Apple menu (), and then click Storage > Manage. Step 2. View the Recommendations for optimizing your storage and click Review Files button in Reduce Clutter section. Step 3. 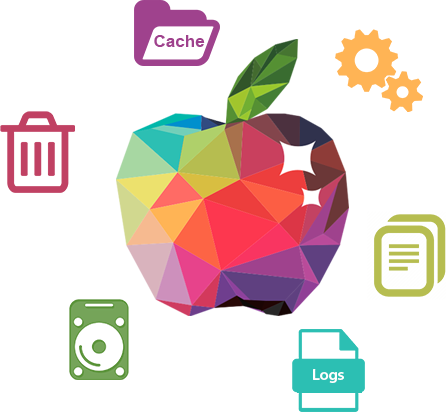 Choose any of the file categories in the sidebar, check the files and click to remove the duplicate ones. Although Optimized Storage function on Sierra allows you to look through your files more easily than opening a bunch of Finder windows, it still requires sharp eyes to find and remove the duplicate files in different folders (except downloads in Safari). 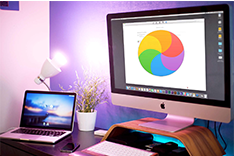 Why not try another smart duplicates finder – MacClean to help you make it with less effort? Step 1. 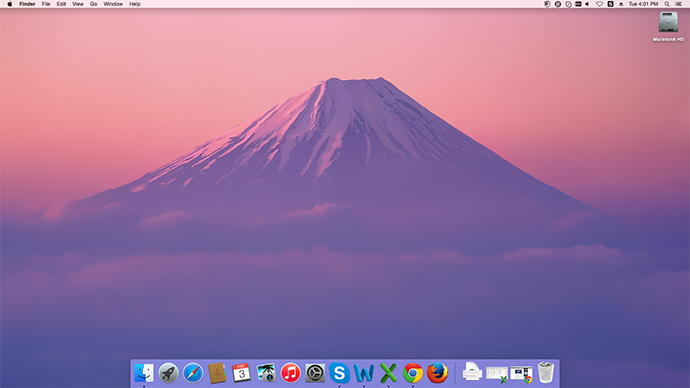 Get MacClean installed on your Mac and run it > Choose Cleanup Tools in the sidebar > Click Duplicates Finder. Step 2. 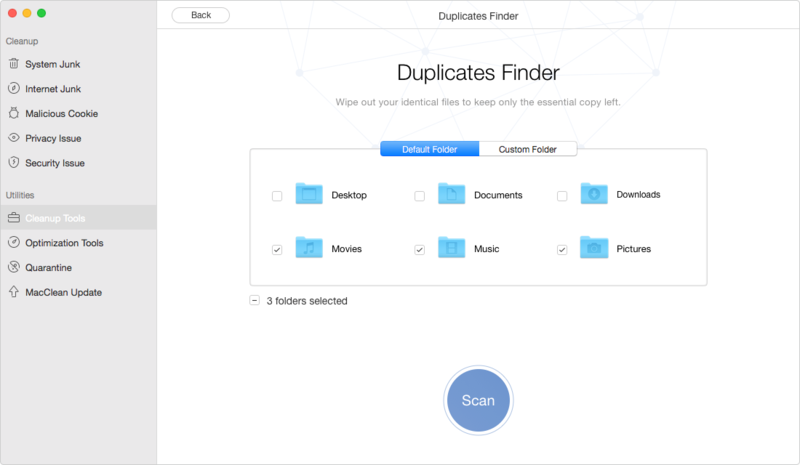 Select default folders or choose Custom Folder to add folders to scan > Click Scan button to quickly detect the duplicates on your Mac. Step 3. Preview and select the items you want to delete or click Smart Select to tick all the duplicated files > Click on Clean button.